THE DANCE DEPOT was established in 1997. Owner/Director Susan Pinney has taught dance since 1976. Born into a family of dancers and entertainers, her mother and aunt founded The Blue Bell School of Dance, a family business since the early 1970's. Susan's expertise stems from three generations of family committed to dance and dance education. STUDENTS WHO ATTEND THE DANCE DEPOT will learn the fundamentals of dance while incorporating proper technique, discipline, coordination, poise and rhythm in a nurturing and family-friendly environment. "We view our studio as a place of empowerment, encouraging self-esteem for children, educating minds, bodies and souls of children while partnering with parents in developing life-long skills." OUR FACULTY ARE PROFESSIONAL dancers and educators whose backgrounds, education and training provide students with a variety of artistic influences. Our instructors enthusiastically share their talents and expertise with all students, beginner to advanced. WE HAVE AN EXTENSIVE PROGRAM of weekly classes for the recreational dancer and we also have competition teams for your child to explore when the time is right. Our staff is dedicated to both types of students and your child will be in a supportive environment, whichever route s/he chooses. Married for 30 years and a mother of four Miss Sue was born into a family of musicians and entertainers. Her grandparents were both accomplished musicians and her parents were professional entertainers in voice and dance. Both Miss Sue's mother and aunt were owners and directors of their own Dance Schools. Her aunt The Wanda School of Dance located in Phila., and her mother The Blue Bell School of Dance which still operates successfully after 40 years. Miss Sue began to dance at the age of 3, performing with her mother at many local affairs in different cities. At age 3 1/2 she performed on the "Al Albert's TV Show" as his first baby performer. At the age of 12 she began student teaching for her mother. Her training included many dance conventions with well known instructors such as Frank Hatchett and Fred Kelly. At age 20 Miss Sue became a permanent instructor at The Blue Bell School of Dance. In 1994 Sue began teaching at a local church hall and accumulated so many students, that it was time to operate her own studio. In 1996 she opened her own studio in Schwenksville and shortly there after expanded to Collegeville where she has become a tremendous success. Greatly admired by her students, because of her fabulous Tap Technique, vivacious personality and loving nurturing manner. Ms. Donna is in her 15th year as in instructor at The Dance Depot. 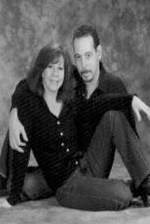 Donna received her dance education through the University of the Arts and Temple University. In 1982, she joined Waves Dance Company under the direction of Shimon Braun. In 1985, Donna opened her own dance studio where met and employed world renowned Rennie Harris of Pure Movement. Its was then her love for funk and Hip Hop began, as they taught and performed together. Donna has also choreographed for local television spots such as Dance Party USA, Teen Video, Lip Sync (MTV) and Be My Witness. Donna has taught in many dance studios in New York, New Jersey and Pennsylvania, but is now proud to call The Dance Depot her true dance home. In addition to her many musical theatre, jazz and hip hop classes, Donna is now the director of our new Dream Catchers Performance Team, which she solely developed to share the love of dance in community events and for several charities, including The Make a Wish Foundation. Ms. Donna is a studio favorite as her love for dance, teaching and her students is exceptional and genuine. Ms. Erika Speer is a multi-platinum award winning choreographer in Jazz, Tap and Hip Hop and has been an instructor at The Dance Depot for 6 years. After graduating from Brentwood High School on Long Island, New York, Erika moved to Philadelphia where she received her BFA in Dance Education from the University of the Arts. Erika continues her dance education yearly by attending New York's Dance Teacher Summit where she takes master classes with well known names in dance such as Germaine Salsberg, Frank Hatchett, Greg Russell and Debbie Dee (just to name a few). Her dynamic and well-rounded experience and teaching style allows her to teach students of all ages, preschool to adult, in almost every dance genre. Erika's students have excelled both on the recreational level and in the competition circuit as her dancers have won Platinum and High-Gold awards in many competition platforms, including the prestigious Starquest, Onstage New York and Starpower Competitions. Erika has been awarded the Apogee Award two years in a row – this award goes to the highest scoring routines among all levels of dance entries in the Competition. During the summer months, Erika is the director of the Julian Krinsky Dance program in Bryn Mawr, where she has written and directed dance programs for children of many ages and nationalities. For the last five years, children have come from all over the world (China, France, Lebanon, Italy and the Dominican Republic) to participate in Erika's program. Erika's love and passion for dance is evident in her day to day life as she continually seeks ways to further her own dance education and that of her students. Erika plans to continue this profession for many years to come – and has high hopes for dance education to cross into mainstream physical education for ALL students. Joe Cotler grew up in Batavia, NY, and trained at his mother Robin Cotler's dance studio, Images in Dance. He graduated from The University of the Arts in May 2009. While at school, he had the opportunity to work with numerous choreographers including Scott Jovovich, Ronen Koresh and Paul Selwyn-Norton. Joe joined Koresh Dance Company in 2009, and currently teaches and choreographs for numerous studios in the Philadelphia area, and throughout the country. 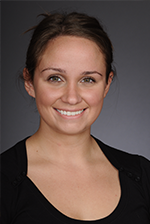 Krista Rae Montrone began her training at the age of three in Hudson, New Hampshire, at Melissa Hoffman Dance Center. After moving to Connecticut in 2000, she continued her training at D'valda & Sirico Dance and Music Centre. Upon graduating high school, Krista moved to New York City where she was involved in many projects including the opening of Revolution at the Joyce Theatre and various industrial projects ranging from Aflac to Juicy Couture. Krista joined Koresh Dance Company in 2011, and teaches for multiple schools in the Philadelphia area, and throughout the country. Katie is a Philadelphia native who holds a B.A. in Dance and English from Ursinus College in Collegeville, PA. While studying at Ursinus, she had the opportunity to perform works by choreographers such as Nicole Wolcott, Cathy Young, Melissa Chisena, Peter DiMuro, Duane Lee Holland, and Meredith Lyons. She has also performed at Bates Dance Festival, which she has been attending for the past few years, as well as the American Dance Festival in Durham, NC. Katie has always had a strong relationship with tap. She has most recently attended the Pulse Teacher Workshop, the Jersey Tap Festival, Philly Tap Challenge, and D.C. Tap Fest. Since beginning her teaching career, Katie has had the privilege to choreograph for, and take students to, regional and national competitions as well as Youth America Grand Prix. When she gets the chance, Katie still loves to be a student herself, traveling around the region (including NYC) to take master classes and attend workshops as both a dancer and teacher. This is Katie's seventh year at The Dance Depot where she teaches all genres of dance - from the little ones all the way up to our competition team. Atlanta native, Ashley Nichole Johnson began her formal dance training at the age of two. It was at Norma's Academy where she discovered her love of dance. Her training and company experience comes from Norma's Academy of Dance, Ballethnic Academy of Dance, Total Dance, and North Carolina School of the Arts. While attending Tri-Cities High School, Ms. Johnson was a dance major, but was also seen in several musical theater performances, and was accepted into the Governor's Honors Program. After high school, Ashley continued her education at The University of the Arts. Ms. Johnson had the privilege of training and working with dance masters Carmen DeLavallade, Milton Myers, Cleo Parker Robinson, Ron K. Brown, Christopher Huggins and many more. During her college career, she had the pleasure of becoming a member of Philadanco's Second Company D-2. In 2007, Ms. Johnson returned to Atlanta and while there she became a member of The NBA's Atlanta Hawks A-Town Dancers. In 2008-09 Ms. Johnson was a member of the up and coming Dance Theater X and also auditioned in Memphis, TN for Season 9 of Fox's Hit TV Show "So You Think You Can Dance". Ms. Ashley made it through to Las Vegas being picked to move on over thousands of dancers. After four years as a member of the NBA's Philadelphia 76ers Dream Team, Ms.Johnson decided to fully commit herself to the development of youth through the art of dance. Shannon Bickel has been dancing at The Dance Depot for more than ten years. She has experience in ballet, tap, jazz, modern, and hip-hop. 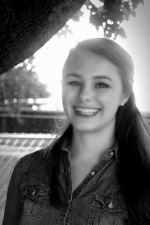 Shannon began student teaching for The Dance Depot at the age of thirteen. She has gone through The Dance Depot's student teacher program, graduating to teaching her own engaging classes. This is her fifth year as a Pre-School/General and Tap teacher, and she is truly endeared by her students. In addition to her exciting work in the classroom, Shannon has been a member of The Dance Depot office staff for more than seven years. She loves seeing how all of the hard work both behind the scenes and on stage come together into a wonderful recital for parents and students! She also has experience as an assistant and lead teacher in a daycare setting. Shannon graduated from West Chester University with a major in Business Management with an additional minor in Elementary Education. When she's not dancing, Shannon enjoys spending time with her family and her dog, Cliffy. Kelli Widener, a Bucks County native, has performed professionally with several companies throughout the tri-state area. She has a BS in Art Education with minors in Dance and Psychology. In 2003, Kelli was certified in the Vaganova Syllabus for Levels 1-3 and 4-6, and again in 2011 for levels 4-6, under Mr. John White, master teacher and founder of Pennsylvania Academy of Ballet. While a principal dancer with the Spiritoso Ballet, Kelli was also the primary level ballet teacher and ballet mistress for the company. She had the opportunity to work in classical, neoclassical and contemporary modern choreography. Kelli continues to expand her knowledge of the Vaganova Technique. It is her mission to better teach the Vaganova method and is currently exploring ABT® Teacher Certification program. In 2005, Kelli founded En Arabesque Dancewear, located in Perkasie, PA. En Arabesque has become renowned for exceptional service, selection and has established the reputation as the place to go for expert pointe shoe fittings. Her business and advice is often featured in the Dance Retailer News Magazine. In 2012, Ms. Widener was one of three retailers in the USA, invited to share her knowledge and experience with the national dance retail community. The round table discussion was filmed in New York City. Also in 2012, Ms. Widener was nominated and selected to be part of the inaugural class of Bucks County Forty Under 40 for her contribution to the community. In addition to being an educator of the arts and a business owner, in 2006 she established the Pennies for Plies Scholarship Fund. This scholarship was created to provide students in need with financial assistance so that they may continue their dance education and passion for the arts. Ms. Kelli has been part of The Dance Depot ballet faculty for four years and we are so happy to share her expertise with our students. Bilal Simpson Charlotte, North Carolina Native began dancing at the age of 10 at Fletcher School of Dance, BB Dance Productions, and Miss Donna's School of Dance. At the age of 16, Bilal began to dance professionally with the NBA Hornets and the WNBA Sting, shortly after he Graduated from Northwest High School of the Arts and began to teach at BB Dance Productions, Miss Donnas School of Dance and Academy of Dance and Fine Arts. In 2005 Bilal moved to Philadelphia, PA to attend University of the Arts for Dance Education and began to teach at DshayAcademy of Dance Arts and shortly after Carols Center for Dance. In 2009 Bilal joined Grace Dance Theater, and also became a resident choreographer for Grace Dance 2 and Training Company of Grace and the Children's Dance Ensemble. In 2014 Bilal joined the company of Contempora Dance Theater and also began to teach at Contempora Dance School. In 2016 Bilal began to teach at The Dance Depot of Collegeville, PA. Bilal's work has won several 1st Overall and Choreography Awards. Bilal has had the opportunity to receive instruction from prestigious choreographers and artists such as Mia Michaels, Dale Lamb, Dee Caspary, Travis Wall, Anthony Burrell, Sadie Roberts, and Veronica Bradley Badgett. Ali M. Willingham is a native of Deptford, New Jersey. He attended Creative Arts High School in Camden, New Jersey as a classical vocal major. He is a graduate of the University of the Arts having obtained his Bachelors of Fine Arts in Dance and a recent graduate of Temple University with his Masters in Fine Arts in Dance. Ali is currently the Dance Director at the Chester Charter School for the Arts in Chester, Pennsylvania. Ali is currently a guest artist with Philadanco under the direction of Joan Myers-Brown and a former principle dancer with Grace Dance Theatre for the past 7 years. He attended the Alvin Ailey American Dance Theatre's Independent Study Program and Summer Dance Intensive in 2007. He was a full scholarship recipient in New York City at the Joffrey Ballet in 2008. He also attended the Dance Theatre of Harlem's Summer Intensive as a full scholarship recipient in 2011 and 2012, where he was awarded the Modern Dance Award and was selected as the 1st Student Choreographer for DTH's Summer Program. Ali was a participant in the International Association of Blacks in Dance Conference's Liturgical Showcase where he ministered his premier piece, "A Fatherless Testimony" (2010) with Alvin Ailey American Dance Theatre's Michael Jackson Jr.
Kristen Blundi began her dance training at the Dance Depot at a young age. She began training seriously, after her acceptance into the Lehigh Valley Charter High School for the Arts where she studied ballet, modern, composition, and jazz. During her high school years, she also had the privilege of performing in the Koresh Youth Ensemble while working closely with Melissa Rector. After high school, Blundi decided to pursue dance further at Slippery Rock University. During her time at the university, she was able to perform works by faculty and guest artists such as Ursula Payne, Jennifer Keller, Thom Cobb, and Matt Pardo. It is also in college that Blundi found a passion her choreography and teaching. In her senior year, Blundi was awarded “Outstanding Dance Teacher” award. She graduated with her BA as a dual major in dance and psychology. Blundi is currently pursuing her Yoga Teacher certification and hopes to incorporate those principles into her teaching.